This afternoon Boho’s Flower School is back as I welcome good friend Tracey from Campbell’s Flowers back to the Blog. As you will know Tracey is a regular contributor to the Blog. So far She has talked us through seasonal flowers and which sort of flower goes with which time of the year (which will soon be available on a FREE download.) 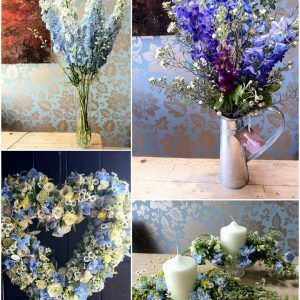 Tracey also comes back to the blog regularly to tell us all about the different colours of flowers , so if you have a specific colour in mind for your wedding then this feature is a good one for you. So far Tracey has covered yellow wedding flowers , which I LOVED! 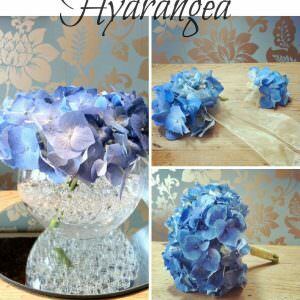 as well as Purple wedding flowers. 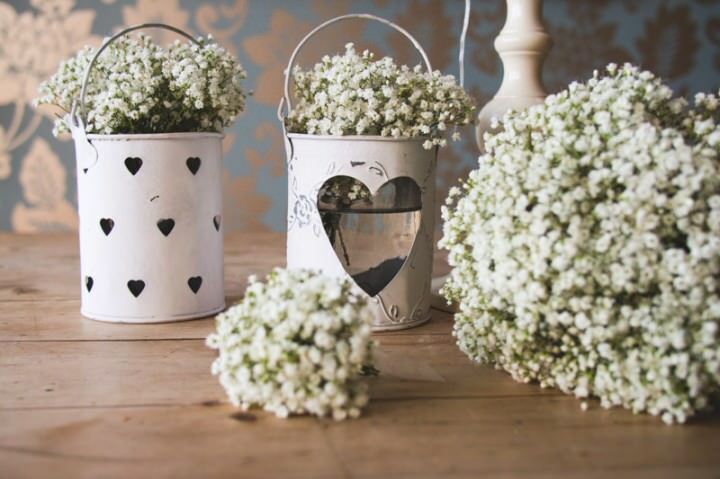 Today we are looking at White Wedding Flowers, as Tracey talks us through some wonderful white flowers ideas. I’ll pass the blog over to Tracey……….. 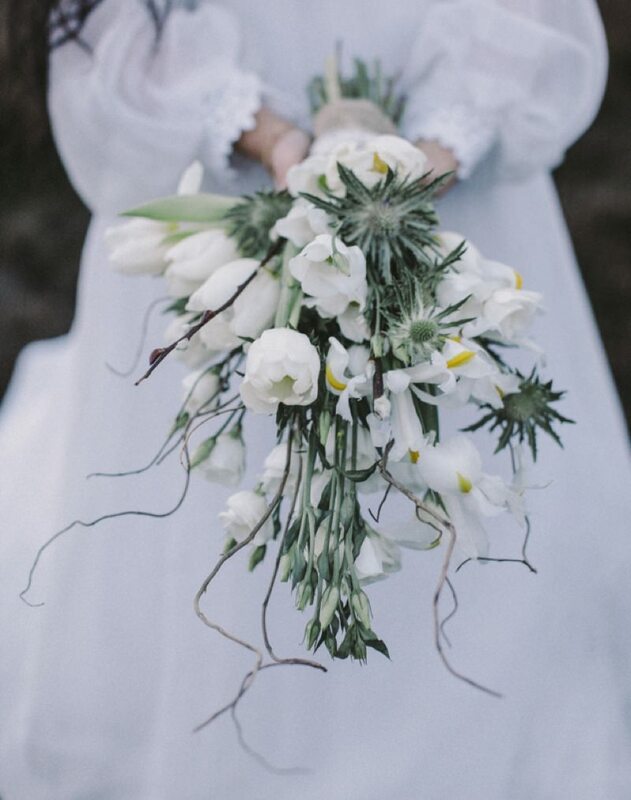 I adore the simplicity of white flowers, which as a neutral palette, are so versatile and look especially fabulous with gorgeous greens – if you’re following colour trends for bridesmaid’s dresses then you can’t have failed to have noticed a whole spectrum of greens from deepest darkest emerald to the 20’s and Gatsby inspired mint green or ‘eau de nil’ as it was known. 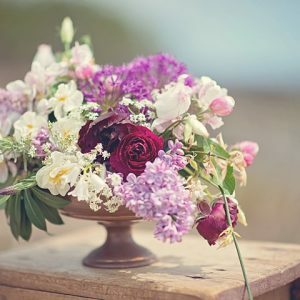 What’s wonderful about the array of blooms available is you can play with the look and feel of your flowers and choose to have the purest, luminous whites using strong textures, structures or shapes or, alternatively, create a more romantic look by using armfuls of soft, billowy gypsophila. If brilliant white isn’t your thing, then introduce creamy, prettiness or silvery foliages to add dimension and softness. Still a huge favourite with those of you looking for a more romantic, boho look, it lends itself really well to pretty single stems in decorated jam jars, mismatched bottles or pretty little tea cups – perfect for the DIY bride! I’m absolutely in love with this sweet little bloom which adds gorgeous texture and an almost meadowy feel to designs. 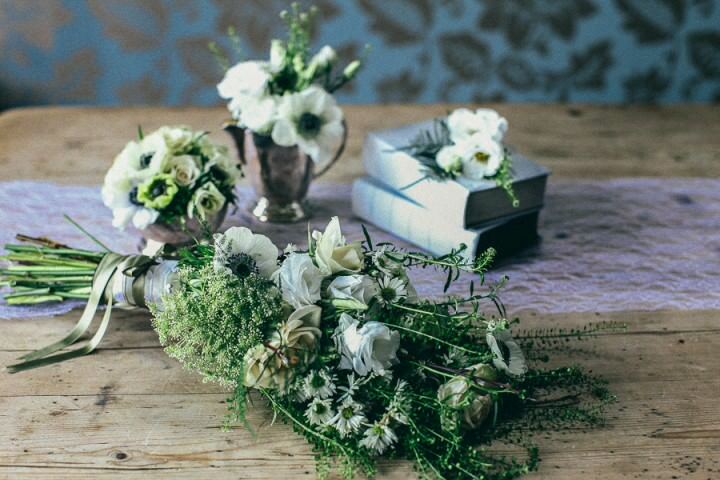 It’s also really hardy out of water which means it lends itself really well to being used as buttonholes – especially if you’re looking for a way to show a Celtic connection without having to introduce blue to your colour scheme! Whiter than white, this gorgeous little flower with it’s delicate tiny nodding bells has a short growing season and is only available for a few weeks between April & May. A really special, special bloom, it’s fragrance is absolutely exquisite and, although expensive, is quite unforgettable. Even better, as someone who loves to champion British grown flowers, I’m happy to say it’s available in this country whilst in season. Another of my favourites, lisianthus is available as a single or double bloom in pure white or a really lovely, rich, creamy colour. If roses aren’t your thing, but you’re looking for a pretty focal flower, then lisianthus might just be the answer! Some people call them Japanese Rose, their botanical name is Eustoma (russellianum), but most florists call them lisi. Happily they’re as versatile as their name and make especially pretty vintage-inspired wrist corsages and hair flowers! 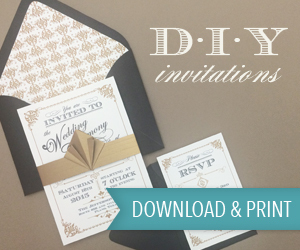 So, I hope this has been helpful and given you just the sneakiest of peeks into what’s available out there! 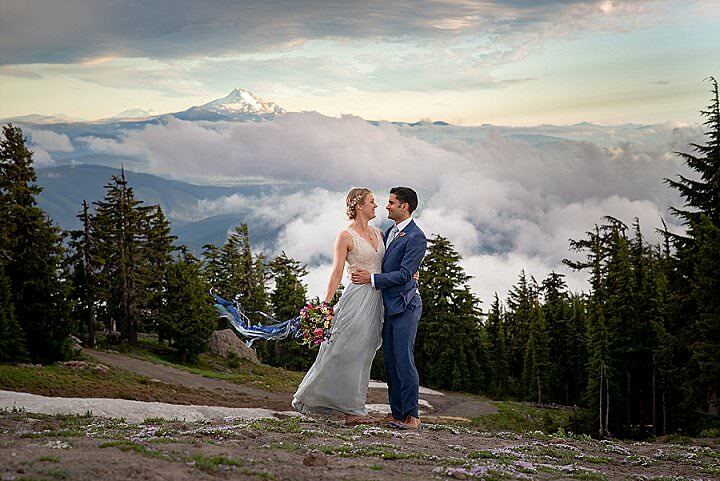 We keep adding to our wedding portfolio all the time which might help a bit more with inspiration especially for bridesmaids, buttonholes and venue decoration, or grab a cuppa and pop over to our latest ‘real weddings’. 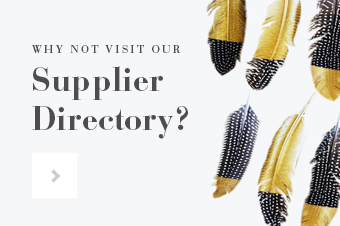 As you might have guessed, we love sharing, so feel free to get in touch if you need any advice on choosing seasonal flowers, or you’re struggling with colours for your special day.